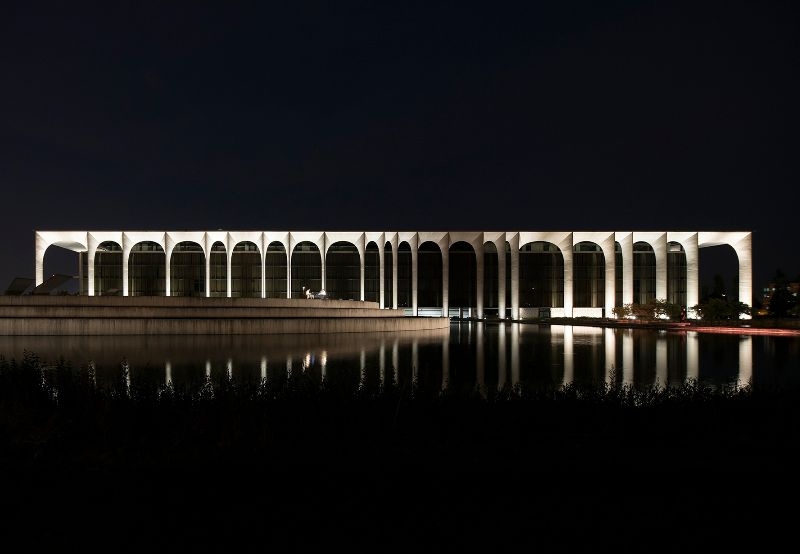 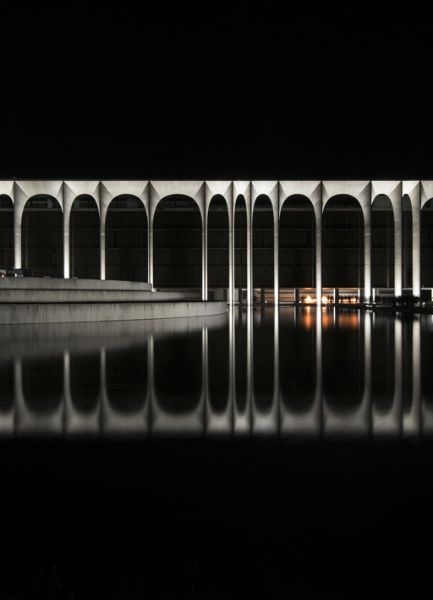 palazzo mondadori, designed and built by the brazilian architect oscar niemeyer, is one of the most important building of post-war international architecture. 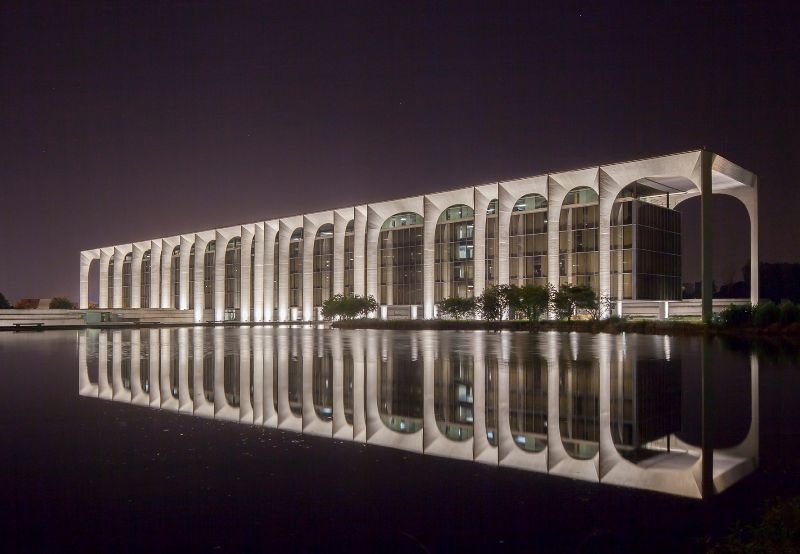 the classical and archetypal shape of colonnade gains a new narrative strength through the innovative use of materials: a rhythmic succession of twenty-three reinforced concrete pilasters emerges from the water to sustain, suspended, the glazed body of the building. 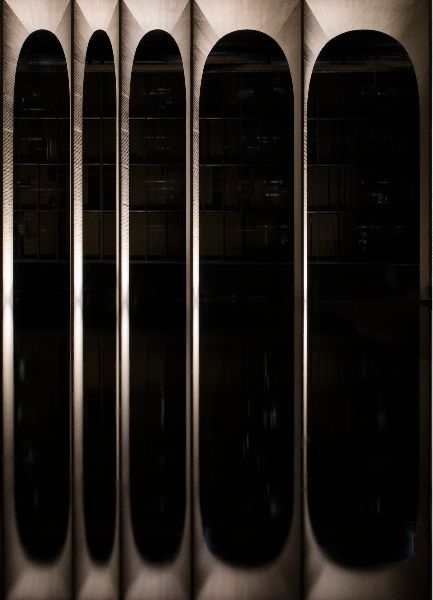 the construction, two hundred and three meters long set along a north-south axis, is crossed by the natural sun light, which scanned the time of life within. 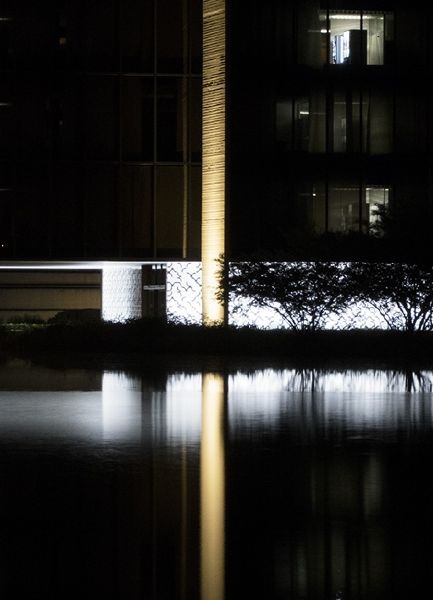 listening the place and study the space, in a continuous dialogue between natural and artificial light, led the design of the new outdoor lighting. 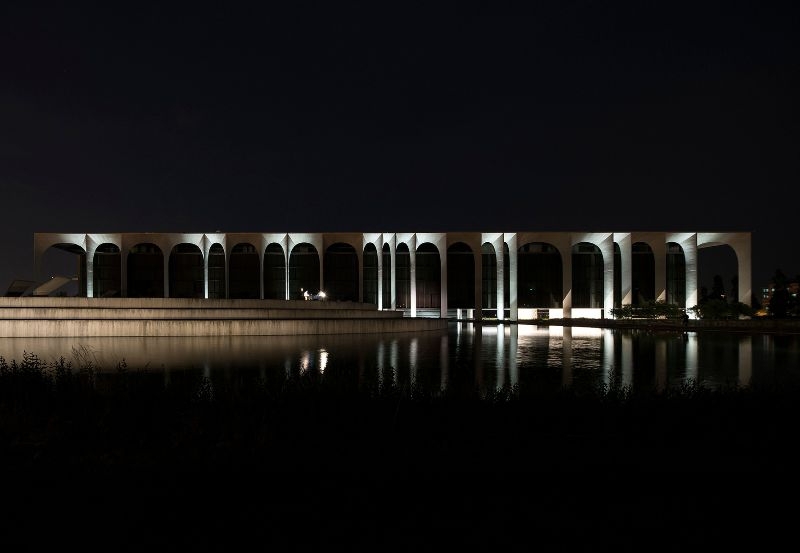 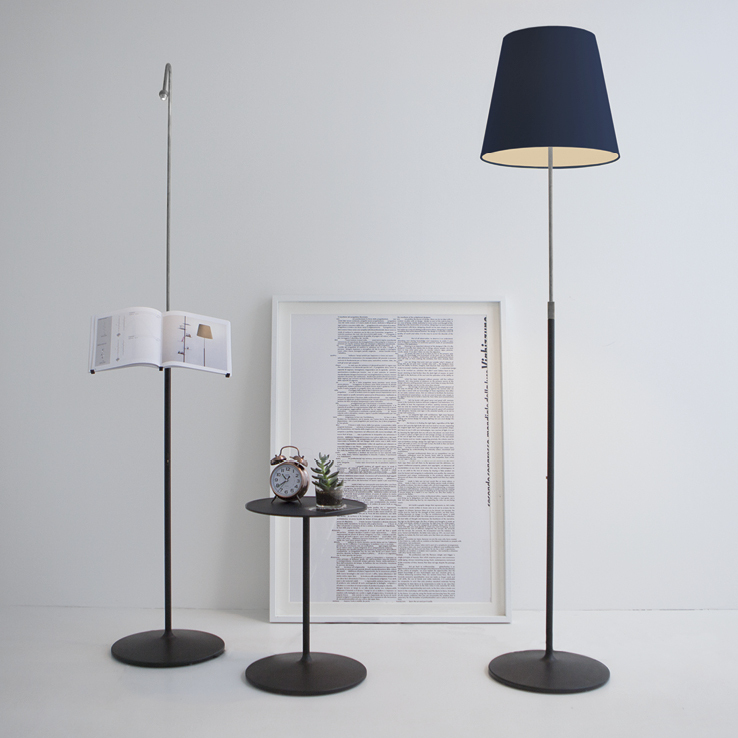 ‘sospeso, leggero ma non troppo’ is the poem of light that mario nanni dedicates to palazzo mondadori to celebrate the 110-year-old story of the publishing house. 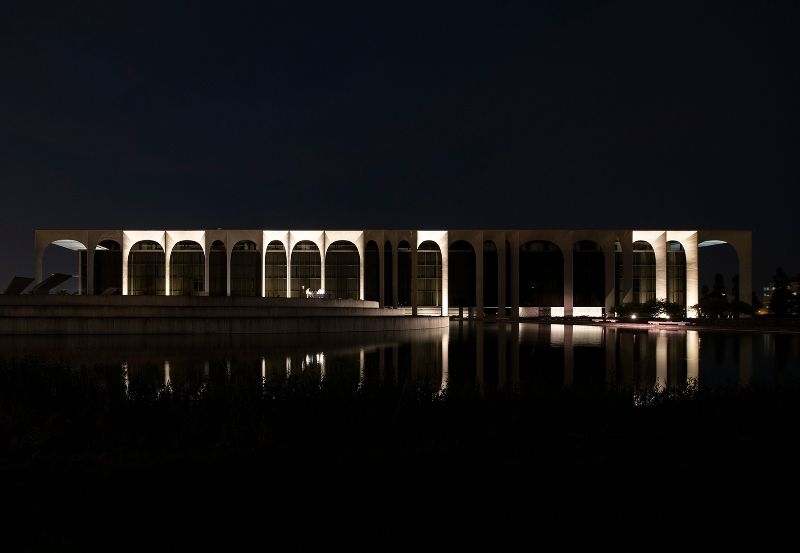 starting from the twenty-one of june 2017 the new illumination of mario nanni enlightens the building: a twenty-four minutes ‘light symphony’ that, from dusk until midnight, reveals the majesty of the construction. 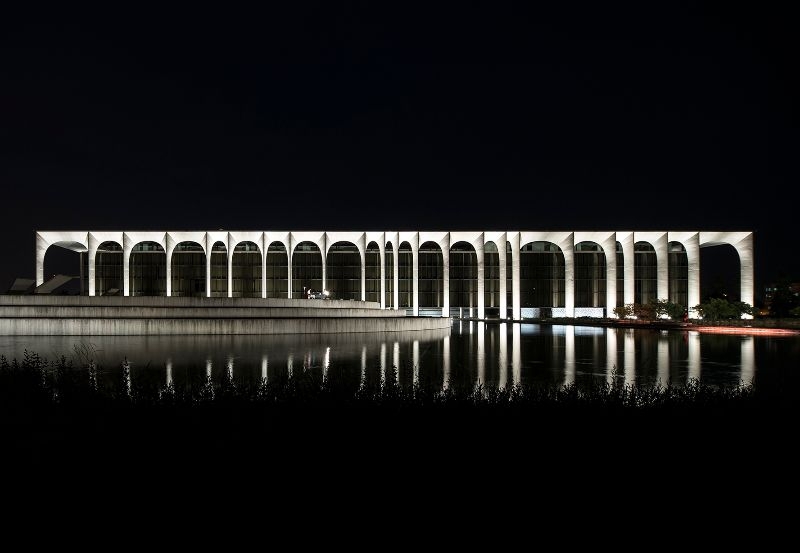 the system is totally integrated by architecture, a dynamic permanent lighting which, starting from the base of the supporting pillars, points out their monumental nature, underlining the matters with the right color rendering and color temperature able to change with the hours of the day and season changing. 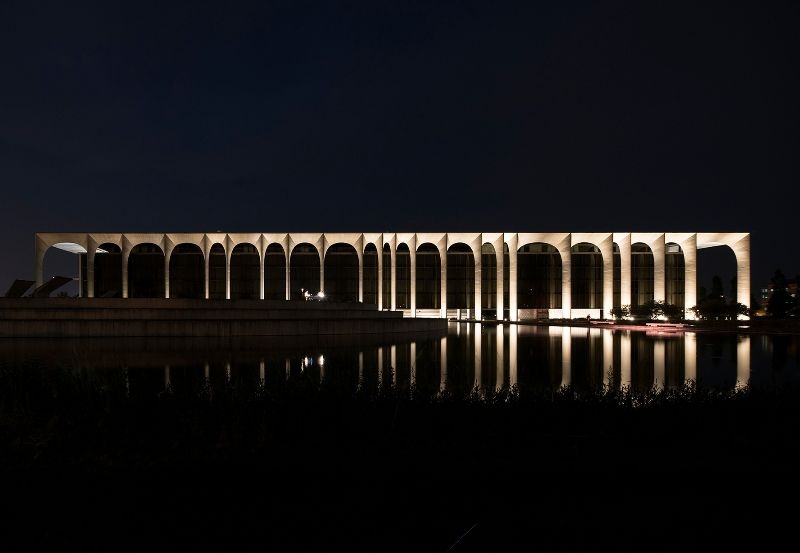 the project of mario nanni adds a twenty-fourth vertical element to the twenty-three pillars of the front, a blade of light which caressing the building points out its geometries, in a knowledgeable and rigorous speech between light and architecture. 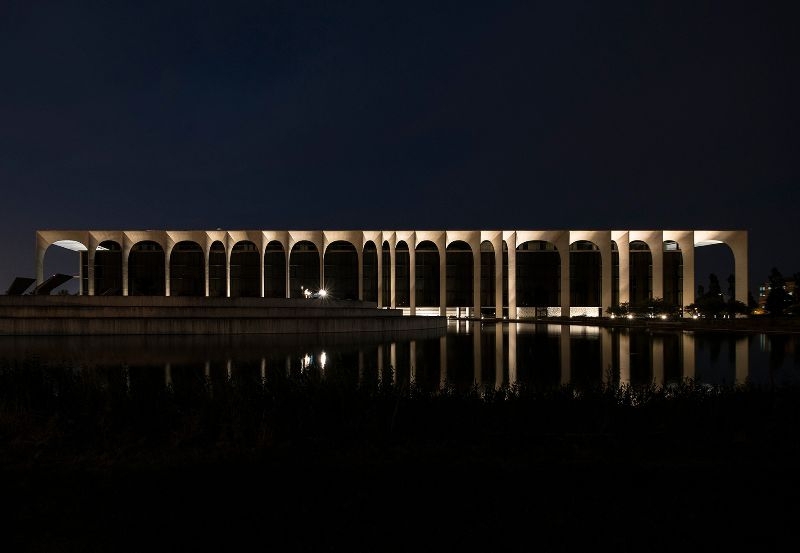 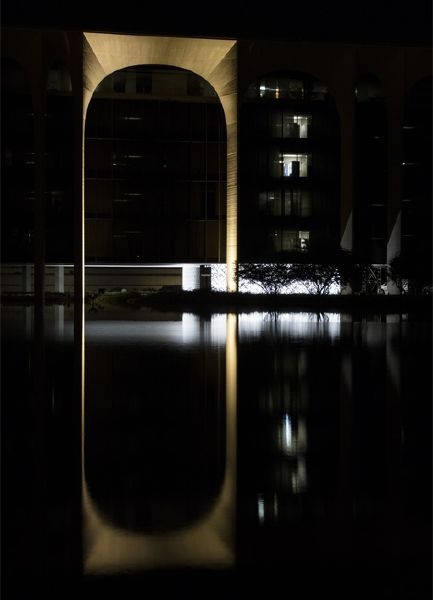 respectful of the rules for energy saving and with an extreme attention for the theme of light pollution, all the light fittings are switched off within midnight: just the sundial of light is still on to allow palazzo mondadori to live into the magic of the night. 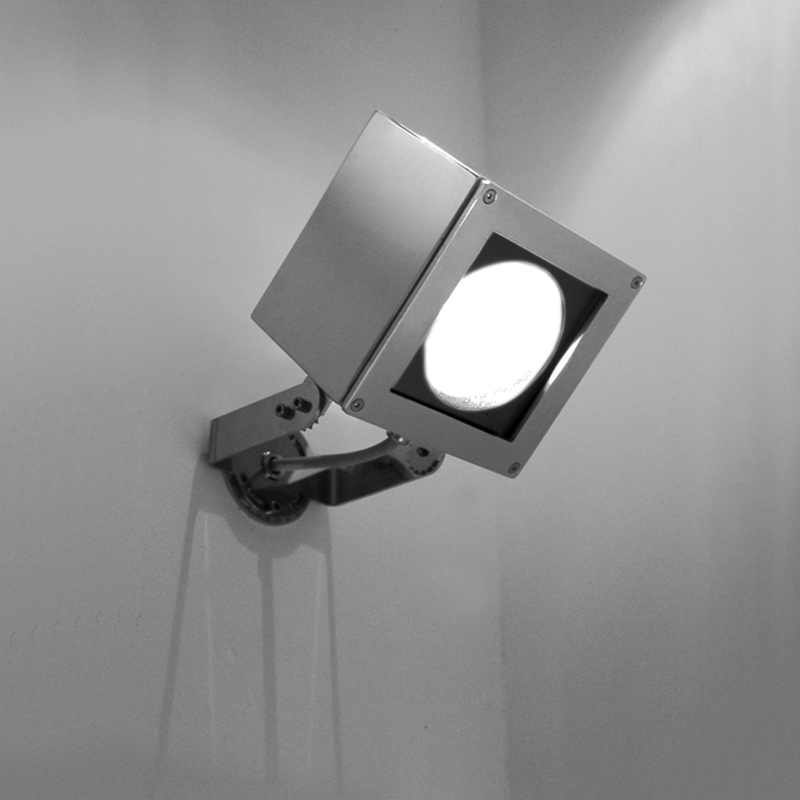 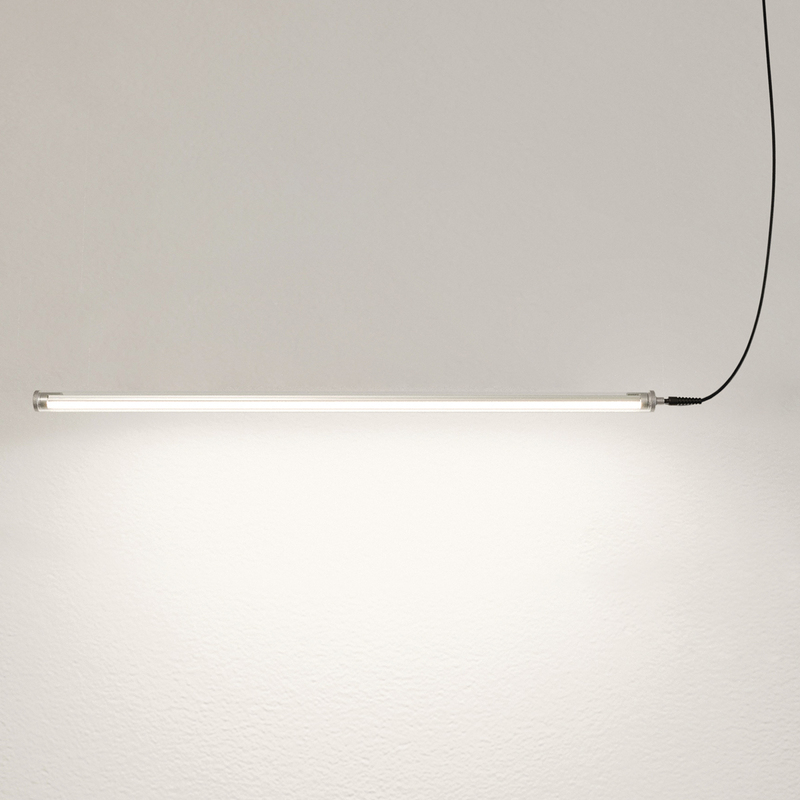 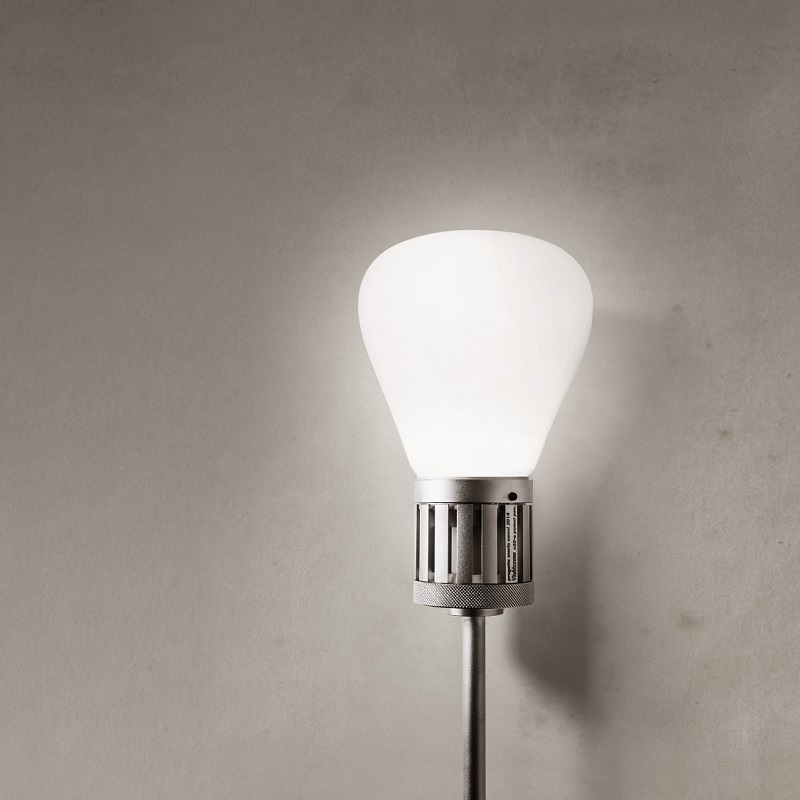 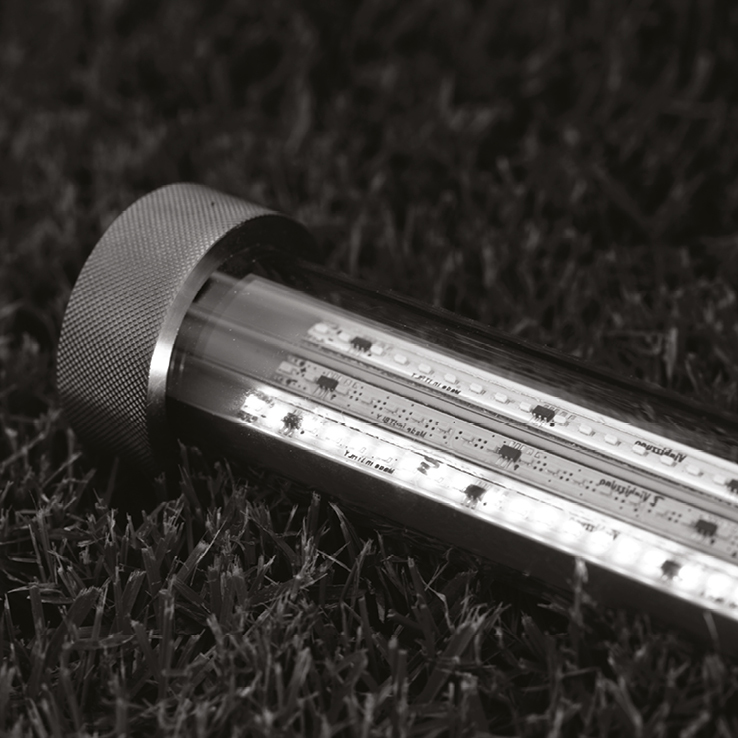 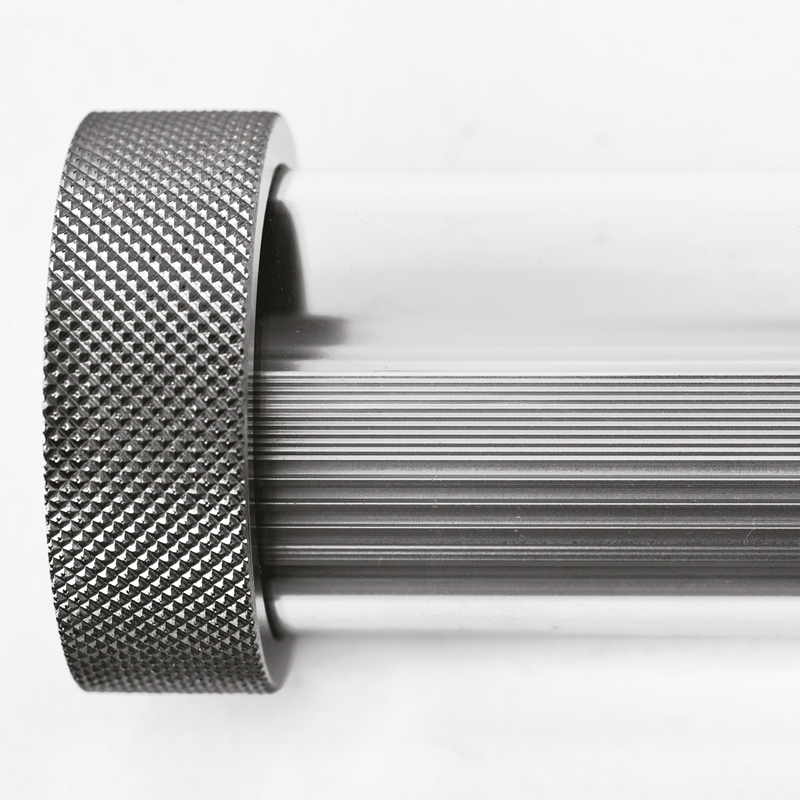 the light fittings, specifically built by the production fabric Viabizzuno for maximum energy saving, easy maintenance and in accordance with the law about light pollution, are wired with electronical sources between 2200k-5000k.